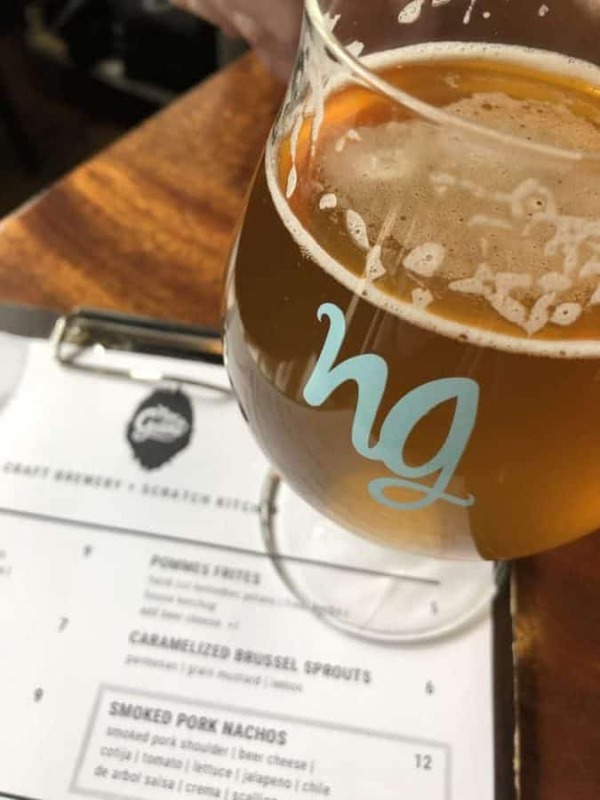 It’s week two on my quest to visit and write about a Cincinnati brewery each week in 2019. I’m hoping that I’ll be able to cover just about every one by year’s end! 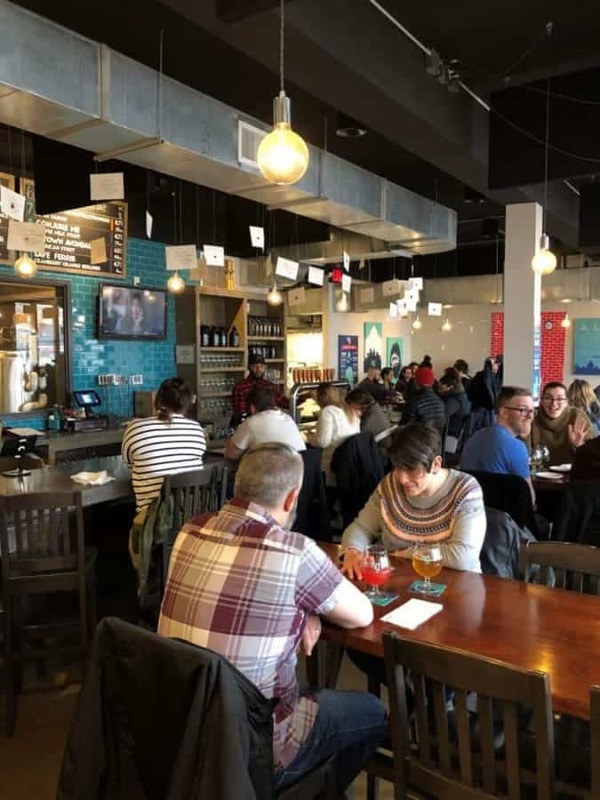 Nine Giant Brewing is located in the Pleasant Ridge community. They’re on a mission to create hand-crafted flavorful beers paired with scratch made food… and they’re succeeding! Nine Giant’s beer is brewed onsite and they serve it in the taproom. There were 10 beers on tap during our visit, all from Nine Giant. They did not have any guest taps. Do they serve any other alcohol? They also offer curated, artisan wines and cider. Where do I park? Parking is on-street. 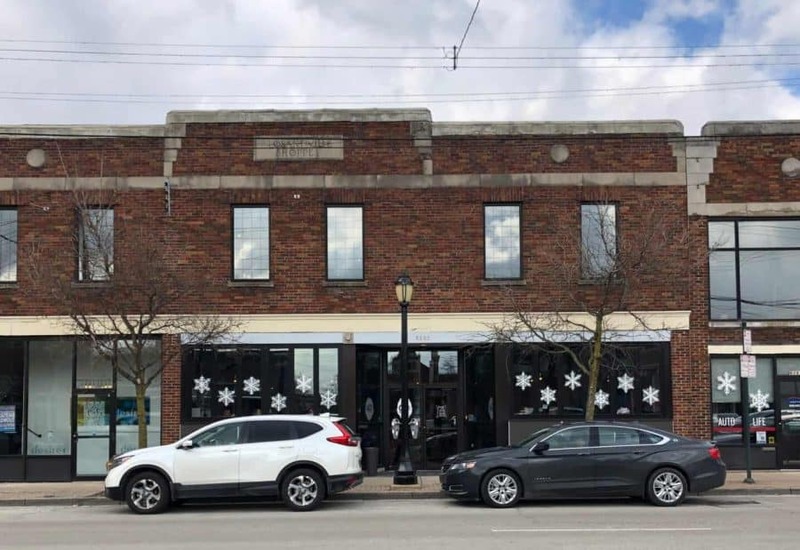 According to Nine Giant’s website, public parking is available at the Moler Beauty School at 6142 Montgomery Rd, next to the Burger King (about a half block from the brewery). Do they have food? Yes there is a full menu and a kids’ menu. Our food was served quickly, even with a packed taproom. 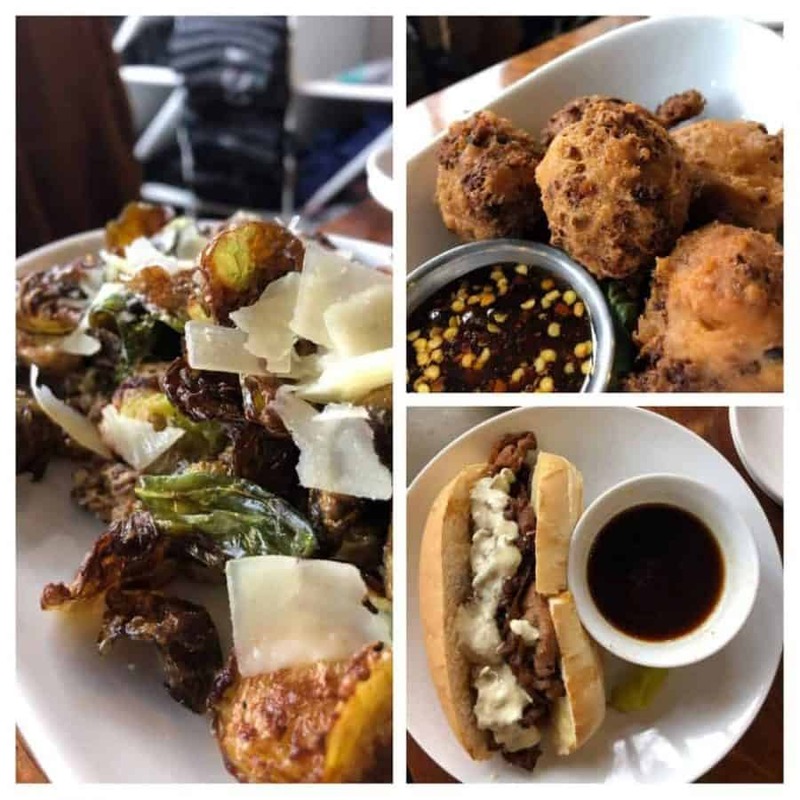 We enjoyed their French Dip sandwich, the Goetta Fritters, and Carmelized Brussel Sprouts (all pictured below). How big is the taproom? Can we hold an event or a party there? The taproom is small compared to others. That was part of the plan. 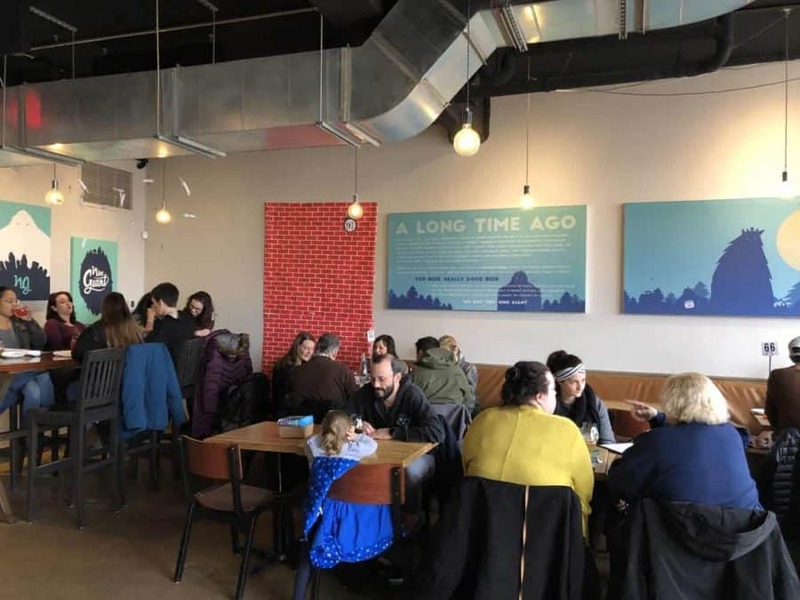 The owners wanted to create a more intimate environment. We did not see any separate event space. Do they offer brewery tours? Not regularly, but you can call and they will work with you to schedule something. Is there any outdoor seating? No, but the front windows do open up in the summertime. Is the taproom kid friendly? It’s a bar with a restaurant-like setting. There’s no particular place for kids to get up and stretch their legs or run around. Is Nine Giant Brewery pet friendly? Nine Giant is a working restaurant and does not allow pets.